A plutonium core is, simply put, the heart of an atomic bomb. During the development of the first atomic bombs at Los Alamos, Nevada in the 1940s, scientists performed experiments on these cores to assess their critical mass, or the point at which they would “go critical” and experience a nuclear chain reaction. 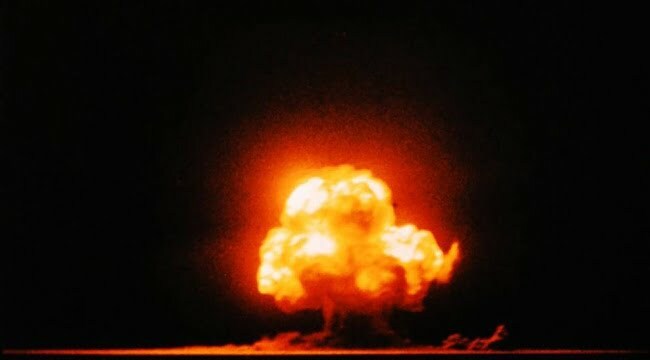 This was important, both for the successful and efficient detonation of an atomic weapon, as well as the prevention of unintentional criticality during assembly and storage. Obviously, there were serious risks involved. Consider, for example, the fates of two scientists working on criticality experiments during the Manhattan Project: Harry K. Daghlian, Jr., and Louis Slotin. August 21, 1945. At about 9:30 p.m., 24-year-old physicist Harry Daghlian returned to the lab at Los Alamos to continue work on a very dangerous criticality experiment. He was building a neutron reflector. Coming in after hours and working alone were completely against safety protocol. But the on-duty guard that night, 29-year-old Private Robert J. Hemmerly, didn’t appear to have a problem with it, and Daghlian immediately got to work. The neutron reflector Daghlian was working on consisted of metal bricks stacked around the plutonium core. 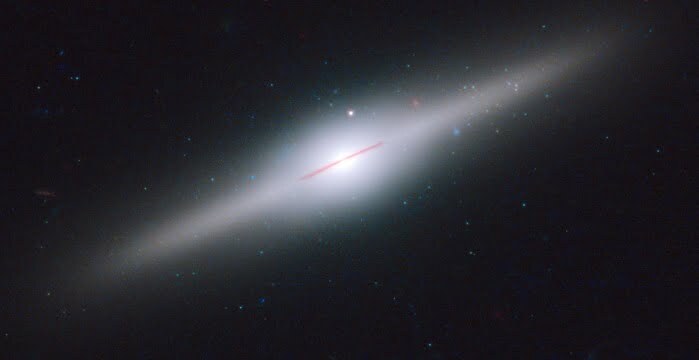 The more enclosed the core was, the more neutrons were reflected back into it, pushing it further toward criticality. 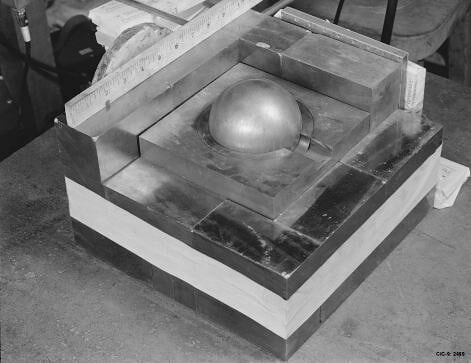 The experiment, while dangerous, was fairly simple: A small, 6.2 kg core, or sphere, of plutonium (Pu-239) would rest upon a square base, hollow on the top and bottom. As neutron-reflecting tungsten carbide bricks were placed around it, the core would slowly crawl toward criticality. That night, on August 21, 1945, Daghlian retrieved the core of Pu-239 and placed it within the assembly. He began to stack the tungsten carbide bricks, first around the base of the core, then slowly over it. He reached the final layer. As he went to place that final brick, however, his neutron counters indicated that doing so would cause the assembly to go supercritical. Daghlian hesitated. He slowly, deliberately, pulled his left hand back and began to withdraw the brick. The brick landed directly on top of the core, which instantly reached prompt criticality. A burst of heat and a faint blue glow shot through the room. Instinctively, he reached for the brick and attempted to knock it away. You can imagine the terrible resignation Daghlian felt as he set to work partially disassembling the brick pile. After he finished, he removed the fallen brick and the core returned to a stable state. Pictures of the effects of the radiation on Harry Daghlian do exist, though most are classified. He agreed to be studied so scientists could better understand the effects of radiation on a human being. One image, however, is widely available — the haunting picture of one of his hands. Private Robert J. Hemmerly also received radiation exposure. However, he died 33 years later of radiation-related leukemia. May 21, 1946. 3:20 p.m. Louis Slotin and seven other scientists were performing their own criticality experiment. It wasn’t altogether necessary; Slotin was demonstrating the experiment to his replacement, Alvin Graves. In fact, there’s reason to believe Slotin had grown weary of bomb-making, and was no longer interested in being the government’s go-to “bomb putter-togetherer” (he had also been referred to as the “Chief Armorer of the United States”). He’d wanted to return to the University of Chicago and get back to more ordinary, peacetime pursuits, such as biophysics and radiobiology. A recreation of Slotin’s criticality accident. Note the hand placement and use of the screwdriver. He was, so to speak, “tickling the dragon’s tail,” a phrase coined by Richard Feynman (he compared the experiment to “tickling the tale of a sleeping dragon”). 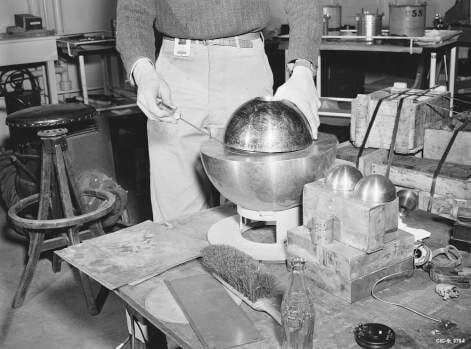 This particular version of the experiment called for two beryllium-coated half-spheres around the core — the very same core of Pu-239 that had claimed the life of Harry Daghlian a year before. They would, like the tungsten carbide bricks, act as neutron reflectors. With his left hand, Slotin moved the top half-sphere over the core and began to lower it. Neutron counters gauged the activity, and began to tick. He prevented the spheres from closing around the core entirely (and causing it to go critical) with a single flathead screwdriver, which he manipulated using his right hand. This was, to say the least, very risky. Typically, they would use shims, but Slotin had performed the experiment numerous times without incident, and wasn’t particularly worried. This time, however, the screwdriver slipped. The reflectors closed around the core. There was a flash of blue light and a wave of heat, and the neutron counters ticked wildly. In that moment, Slotin knew. The core had gone supercritical, and he would soon be dead. Slotin tossed the top half-sphere away from the core and onto the ground. Several of the men present ran from the room, but were soon called back to mark their positions during the time of the accident. Calculations were then made to discern the radiation exposure each of them had received. The results? Most of them had likely received enough radiation to considerably shorten their lifespans, but they’d live to see another day. Slotin’s exposure, however, was far too intense, more than any one man had ever experienced. He died only nine days later, on May 30, 1946, at the age of 35. Several blood transfusions were performed throughout the ordeal, as well as many other procedures, but there was ultimately nothing that could be done. 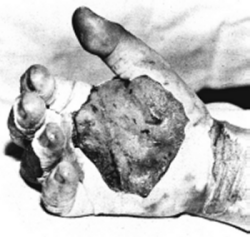 Like Daghlain, Slotin was photographed and the progress of the radiation poisoning was documented, providing a better understanding of its effects on the human body. 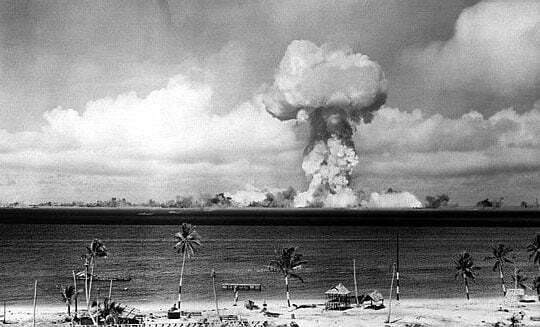 The plutonium core that killed both Daghlian and Slotin became known as The Demon Core, and was eventually detonated in the Pacific Ocean at Bikini Atoll on July 1, 1946, as part of the Operation Crossroads tests. Later criticality experiments were revised for safety, and were no longer performed by hand. Instead, they used remote-controlled devices in separate buildings. There were, of course, several accidents that occurred during the Manhattan Project. But the incidents involving the Demon Core are a haunting and terrible reminder that the forces of nature should not be handled lightly. I really can’t. It’s beyond my experiences. I may know the feeling he felt, it was actually quite peaceful. I was on a flight about 25 years ago from Pittsburgh to Columbus I think. I am pretty sure the pilot accidentally engaged the thrust reversers at around 20,000 feet. Suddenly there was a loud “BOOM!” and it felt as if we had hit something. The plane immediately rolled to the left and into a nosedive. The plane was barely 1/4 full. In the back where I was seated it was nearly empty. The few of us that were seated in the back looked at each other as if to say “this is it”. 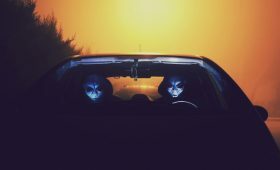 I thought for sure we were going to die. During that time I was peacefully running through thoughts of my wife and family and all the good things I had. It was a very peaceful feeling. 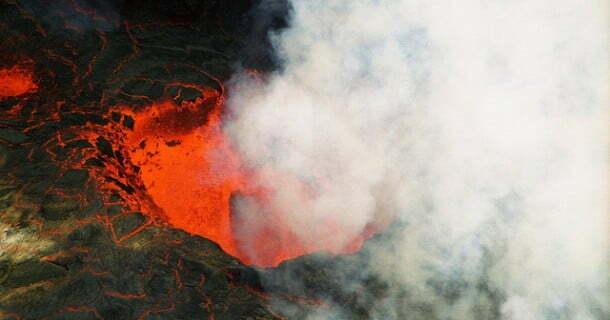 It was not as you might expect a bunch of people screaming on the plane, “OMG, we’re gonna die!”. About a minute later we seemed to be slowly pulling out of this nosedive and I began to think we might live. After about another minute we clearly back into level flight. The rest of the flight was very bizarre. The pilot flew the plane as if it were an F16 fighter or something. Every turn was a hard snap roll and banked turn. When we finally landed there still had been no comment by the pilot or staff of what had happened. Being in the rear of the plane I was one of the last couple people off the plane. As I reached the cockpit the pilot had finally opened the doors and was exiting directly in front of me. He looked pale as a ghost. I cracked a joke, I said “I had no idea that they made a 737-F16”. He cracked a very uncomfortable looking smile and exited the aircraft. BTW, the plane was a 737-200. I found it odd they said nothing of such a major and frightening incident on the aircraft. I reported the incident to the NTSB later that same day. Though the NTSB said they would get back to me on what they found I never heard back from them. A few months later in the news was a report of an aircraft that crashed into the ground after accidentally deploying thrust reversers in flight. Apparently the doomed flight deployed them at around 10,000 feet and did not have time to recover from it. It was a very interesting experience. When death stared me in the face I and many others seemed comfortably resigned to it without fear. Why do we allow these monsters to continue with their pursuits. Mankind needs them like they need a hole in the head. It’s time to change our focus.